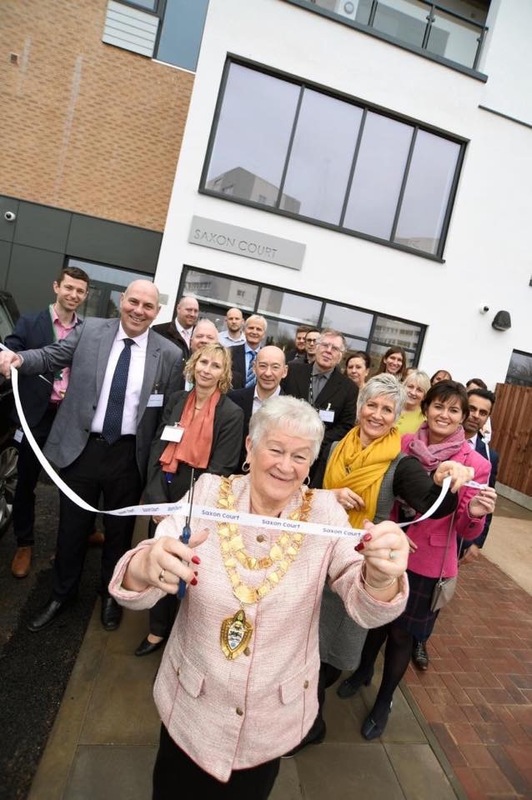 The Mayor of Solihull has opened a £7million extra care living scheme in Chelmsley Wood. The quality apartments each have their own kitchen and wet room, while the extensive open plan ground floor is designed to encourage communal living. A wellbeing co-ordinator will promote a range of activities designed to forge a thriving Saxon Court community. A Court Manager will ensure the smooth running of Saxon Court throughout the day while staff from care provider Universal will be on hand to support residents with specific care needs.